Six months after Gov. Mark Dayton signed a bill legalizing medical marijuana in Minnesota, makers are poised to start growing. 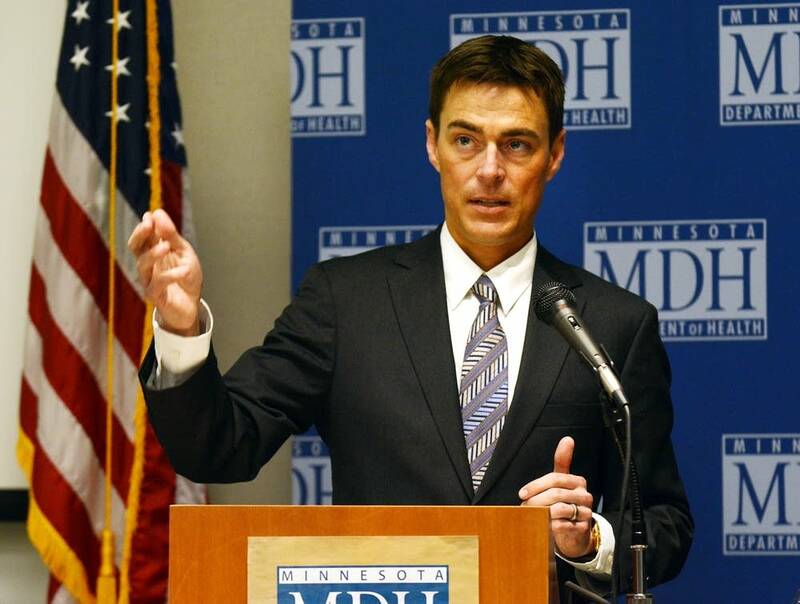 State officials on Monday announced the two companies that will grow, process and sell medical cannabis to Minnesotans next year under the state's new law. LeafLine Labs and Minnesota Medical Solutions were chosen from among 12 applicants. They'll distribute the medication through eight sites across the state, the Minnesota Health Department said. Lawmakers passed the strictest medical marijuana law in the country earlier this year. It prohibits smoking of the drug and requires instead that it be manufactured in pill or oil form. Medical marijuana will only be available to patients suffering from about 10 conditions including ALS and cancer. LeafLine Labs plans to produce the drug at a facility in Cottage Grove and will open a distribution center in Eagan on July 1, with other locations planned in Hibbing, St. Cloud and St. Paul before or by July 2016. The company includes 10 members of the Bachman family floral and gardening business, although LeafLine co-founder Dr. Andrew Bachman said it will be completely separate from the garden store chain. 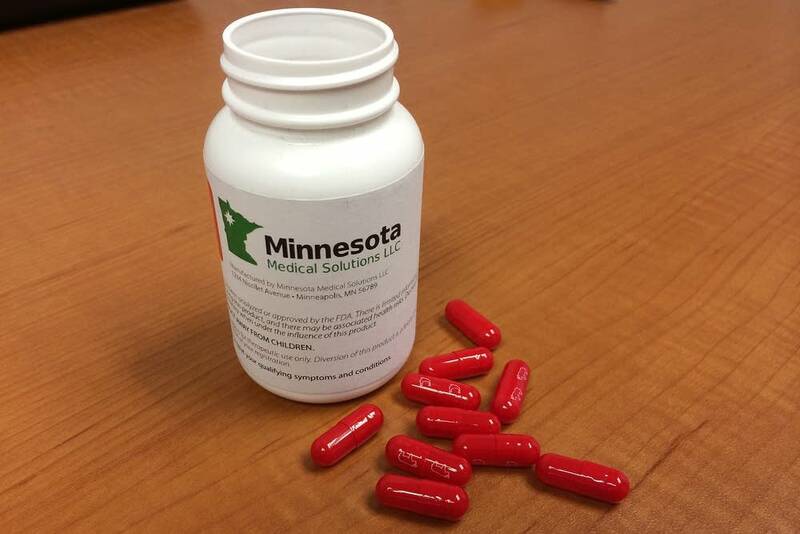 Minnesota Medical Solutions plans to open distribution facilities in July in Rochester, Maple Grove, Minneapolis and Moorhead. "This is a great day for about 5,000 suffering Minnesotans and their families. We have been working non-stop since early May and now we're making a seven month push to deliver treatments for lessening their suffering," said company chief executive Dr. Kyle Kingsley, an emergency room physician from Shakopee. Kingsley's company was one of a dozen to put down a $20,000 deposit and vie for one of two state licenses to provide medical cannabis. The winners are a mixture of medical, business and out-of-state marijuana producers. LeafLine includes leaders from Theraplant, a Connecticut-based manufacturer. MinnMed, as the other company is known, is consulting with Patient's Choice, a marijuana cultivator based in Colorado. Although marijuana is still classified as a controlled substance under federal law, state officials say the dispensaries will be safe from federal prosecution if they're instituted according to state law. 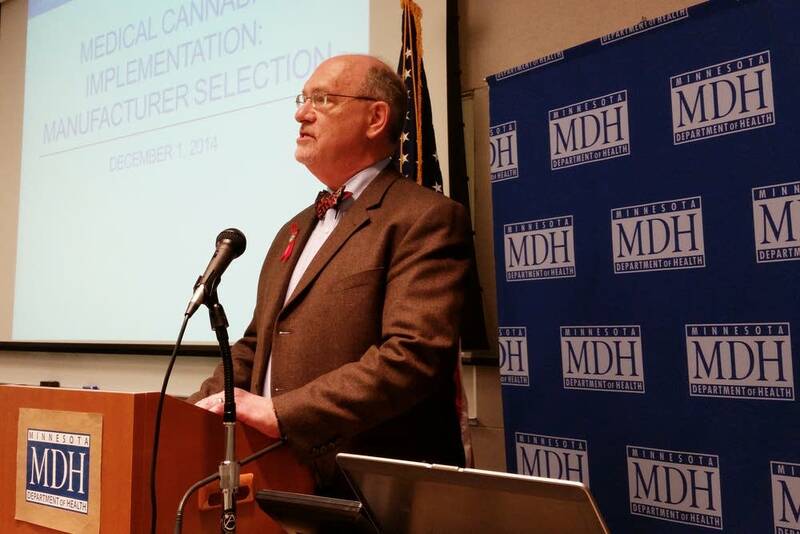 Minnesota Health Commissioner Ed Ehlinger said the state wanted to ensure that any medical marijuana producers were financially stable and medically competent so they could provide "ill people quality medicine that can help relieve their suffering." Neither company will be able to give marijuana plants directly to patients. The state's law requires cannabis to be distributed in pill or oil form only. Jessica Hauser of Woodbury wants to give medical cannabis to her 2-year-old son Wyatt, who suffers from a catastrophic form of epilepsy. The drugs can't come soon enough for her family. The family went to Oregon this summer so Wyatt could try medical cannabis treatment, she said. "There were indications that it could be something that could work for him long term." The state hopes to start signing up patients June 1, although it isn't clear how many there will be. While initial estimates put the market at about 5,000 patients, there could be three times that many, according to assistant state health commissioner Manny Munson-Regala. Patients, he added, need to start talking now with their doctors to make sure they get the certification needed to get access to the medical marijuana.